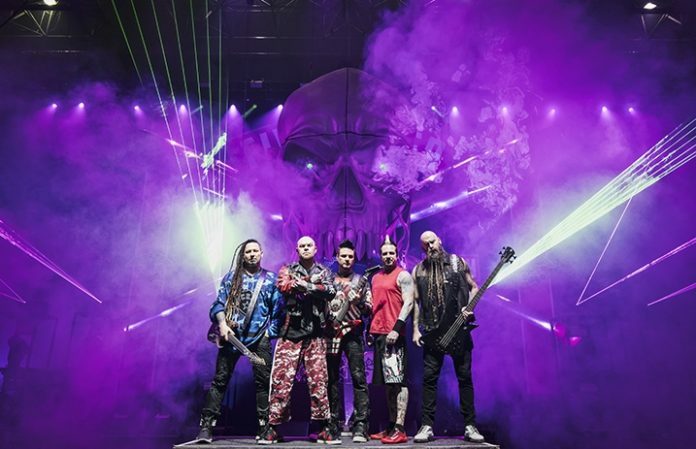 Five Finger Death Punch recently unveiled their new song “Sham Pain,” taken from their seventh full-length, And Justice For None, and today, the band shared a fitful new music video for the track. The music video, much like the song, showcases the band’s most chaotic moments of their career. “’Sham Pain’ is a lyrical snapshot of probably the biggest, yet most chaotic year of this band’s career,” says Bathory. “Everyone has a different way of dealing with the moments when life hands them lemons…some complain and some make lemonade. And Justice For None is out May 18. You can preorder your copy of it here. Five Finger Death Punch will be hitting the road for a massive series of co-headlining North American dates with Breaking Benjamin, along with special guests Nothing More and Bad Wolves. Check out their forthcoming tour dates below!